Since the classic Colt 45 was named the 2017 BWB Battle Of The Booze Champion earlier this month, let's keep the ball rolling this week with Colt 45 High Gravity! 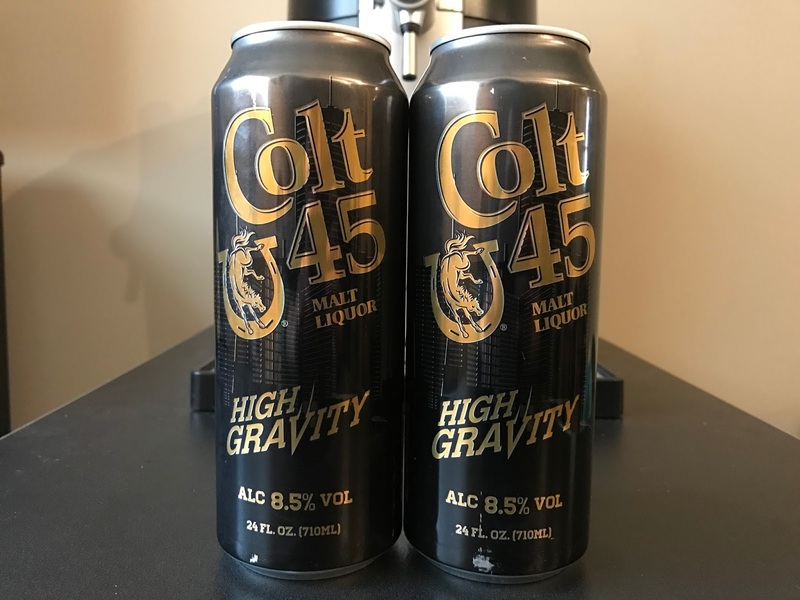 Coming in at 8.5% the high gravity offering beats its counterpart by 2.9% (regular Colt 45 is 5.6%) in the ABV category, but how does it compare otherwise? I finally got my hands on a couple cans of the Colt 45 High Gravity Lager about a month ago during one of my recent liquor store adventures. I was on my way to meet up with Kapn Krude at Biggies in Carlstadt, NJ when I stopped in the Heights Beer & Wine Emporium to check out their stock. At first I was underwhelmed since there were no 40's and no bum wine to be found, but after helping a nice Asian man try to find some Guinness (unsuccessfully since this was right after St. Patrick's Day and they looked to be sold out), I stumbled upon the 24oz cans of Colt 45 High Gravity on the shelf in one of the coolers. So, I grabbed a few cans and was on my way. 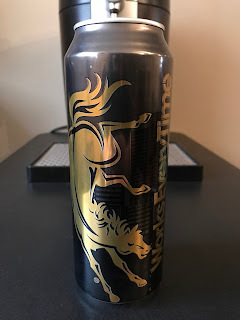 I gave the first can a try during my fantasy baseball draft the next night, but wasn't too impressed with the results. It has the usual malt liquor taste with a bit of a funky aftertaste. Is it drinkable? Yes. 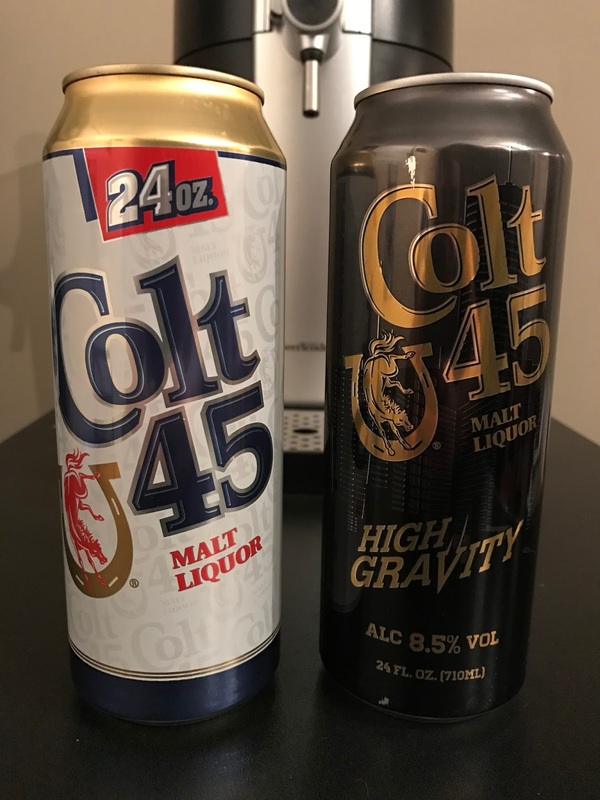 Is it better than the classic Colt 45? No way. Will it get you drunk? At 8.5% drink a few of these bad boys and you will be feeling fine! Like other high gravity lagers, make sure to drink it before it gets warm, otherwise it will not be too pleasant. 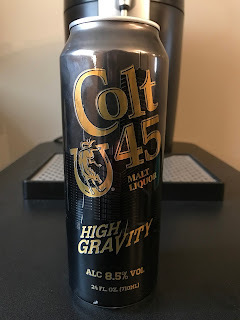 Colt 45 High Gravity is the BWB Malt Liquor Of The Week! Grab a can and enjoy! Cheers! Remember check out the koozies and other great Bumming with Bobcat merch at shop.bumwinebob.com to help support the blog and podcast by placing an order! Remember to tune in LIVE this Monday at 10pm ET to Bumming with Bobcat at sfdradio.com or check out the podcast in the archives! Cheers!